(91outcomes.com) - A new study published in the January 12, 2016 edition of the medical journal, "Frontiers in Integrative Neuroscience," shows that in an animal model of Gulf War Illness, exposures to Gulf War toxins led to persistent neuroinflammation and neuropathological changes. The researchers were also able to identify novel biological pathways, correlate the results with outcomes, and identify potential treatment targets. In the study, the laboratory animals were exposed to a combination of Pyridostigmine Bromide (PB) and Permethrin. During the 1991 Gulf War, many U.S. and some Coalition troops took the experimental Pyridostigmine Bromide (PB) pills as a protective measure in the event of nerve gas exposure. At the same time, many U.S. troops used copious amounts of pesticides during the war, often without being able to shower for long periods of time, including Permethrin -- a potent pyrethroid pesticide. Several animal studies have shown that PB, in combination with Gulf War pesticides or low-level chemical warfare agents, results in long-lasting symptoms that appear similar to those in Gulf War Illness. Another Roskamp researcher involved in the study, Dr. Laila Abdullah, is currently funded by the GWIRP in a related study aimed at restoring the brain's lipid homeostasis in order to treat neurogenic symptoms. Entitled, "Restoring the Brain's Lipid Homeostasis as a Therapeutic Avenue for Treating the CNS Symptoms of Gulf War Illness," the study is testing phospholipids, drugs that increase functional peroxisomes, and supplement lipid metabolites to enhance brain cell function. Dr. Crawford was also recently funded by the GWI CDMRP for another Gulf War Illness treatment study related to these newest findings. Entitled, "Double-Blind, Placebo-Controlled Crossover Study of the Anti-Inflammatory Compound Anatabine to Treat Pain in GWI Patients," the study will test an anti-inflammatory nutraceutical with the goal of reducing persistent neuroinflammation and improving debilitating, chronic Gulf War Illness symptoms. The small study is expected to be completed in 2018, paving the way for a broader treatment trial if successful. Front Integr Neurosci. 2016 Jan 12;9:71. doi: 10.3389/fnint.2015.00071. eCollection 2015. A Chronic Longitudinal Characterization of Neurobehavioral and Neuropathological Cognitive Impairment in a Mouse Model of Gulf War Agent Exposure. Zakirova Z1, Crynen G2, Hassan S3, Abdullah L1, Horne L3, Mathura V2, Crawford F1, Ait-Ghezala G1. 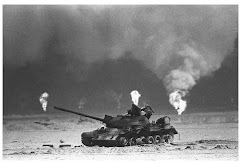 Gulf War Illness (GWI) is a chronic multisymptom illness with a central nervous system component that includes memory impairment as well as neurological and musculoskeletal deficits. Previous studies have shown that in the First Persian Gulf War conflict (1990-1991) exposure to Gulf War (GW) agents, such as pyridostigmine bromide (PB) and permethrin (PER), were key contributors to the etiology of GWI. For this study, we used our previously established mouse model of GW agent exposure (10 days PB+PER) and undertook an extensive lifelong neurobehavioral characterization of the mice from 11 days to 22.5 months post exposure in order to address the persistence and chronicity of effects suffered by the current GWI patient population, 24 years post-exposure. Mice were evaluated using a battery of neurobehavioral testing paradigms, including Open Field Test (OFT), Elevated Plus Maze (EPM), Three Chamber Testing, Radial Arm Water Maze (RAWM), and Barnes Maze (BM) Test. We also carried out neuropathological analyses at 22.5 months post exposure to GW agents after the final behavioral testing. Our results demonstrate that PB+PER exposed mice exhibit neurobehavioral deficits beginning at the 13 months post exposure time point and continuing trends through the 22.5 month post exposure time point. Furthermore, neuropathological changes, including an increase in GFAP staining in the cerebral cortices of exposed mice, were noted 22.5 months post exposure. Thus, the persistent neuroinflammation evident in our model presents a platform with which to identify novel biological pathways, correlating with emergent outcomes that may be amenable to therapeutic targeting. Furthermore, in this work we confirmed our previous findings that GW agent exposure causes neuropathological changes, and have presented novel data which demonstrate increased disinhibition, and lack of social preference in PB+PER exposed mice at 13 months after exposure. We also extended upon our previous work to cover the lifespan of the laboratory mouse using a battery of neurobehavioral techniques. Veterans of the Gulf War (1990-1991) have a higher rate of "chronic multi-symptom health problems" than either non-deployed military personnel or those deployed to other regions. The severity of illness can range from moderate effects (some problems, but ability to maintain a normal lifestyle) to highly debilitating, where it interferes with the activities of daily living. Nearly 20 years since the original conflict, most veterans with this illness continue to suffer from these chronic symptoms and only a few have either recovered or improved. Among the 37 persistent symptoms, the most commonly reported symptoms included fatigue, gastrointestinal problems, chronic and widespread pain, and neurological and musculoskeletal symptoms. Further investigations have revealed that symptoms relating to gastrointestinal, respiratory, and mood/cognition are the three key correlated symptoms reported to be present among both the UK and US Gulf War veterans. Additional support for significant cognitive component to Gulf War illnesses (GWI) comes largely from brain imaging studies showing damage to brain structures. The cause of these central nervous system (CNS) abnormalities remains unknown. Interestingly, several clinical studies on GWI suggest that there is a significant impairment of immune and inflammatory responses in the periphery of veterans with GWI. Interestingly, the chemicals pyridostigmine bromide given to soldiers as prophylaxis against nerve gas attack and permethrin, a pesticide used to protect against pest-borne illnesses, have been shown to affect immune system and inflammation in animals. We suspect that these chemicals, in combination with each other, may have resulted in an increase of proinflammatory proteins, which could have subsequently entered the brain and caused clinical symptoms that we observe in veterans with GWI. Therefore, our work will focus on identifying biological functions in order to figure out the relationship between cognitive and the immune component of GWI. However, given the complexity of clinical presentation, which is probably obscured by the heterogeneity of the veteran population, due to hereditary and other environmental differences, the standard technical approaches may not be suitable for examining the underlying etiology of this illness. We have state-of-the- art technology available to address this problem as well as several decades of experience in researching brain inflammation associated with cognitive diseases. This "proteomic technology" is a method that enables us to identify and measure hundreds to thousands of proteins simultaneously even in a small amount of sample and therefore can provide a picture of several biological pathways at the same time. Therefore, we propose to use this technology to identify profiles that are specific to immune and inflammatory responses in a mouse model of GWI, thereby allowing us to examine the relationship between these GWI exposures and immune/inflammatory dysfunction in a more homogenous study sample. We will identify biological pathways that can be targeted using pharmacological approaches and other genetic animal modeling approaches. We will examine whether we can successfully target the immune/inflammatory component of GWI and whether by doing so we can resolve the brain inflammation and change neurobehavioral symptoms of cognitive impairment. We are confident that our approach here will potentially lead to several new therapeutic avenues for treatment of the brain inflammation component of GWI, ultimately leading to their clinical testing in veterans with this chronic and persistent sickness. 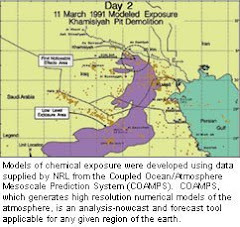 Background: Investigation of Gulf War illnesses (GWI) provides evidence that the chemicals used as pesticides or as prophylaxis for nerve agent exposure contributed to the symptoms observed in GWI. Among these agents, pyridostigmine bromide (PB) and permethrin (PER) have been implicated in GWI pathogenesis, and findings suggest that these GW agents may synergistically activate processes in the central nervous system (CNS) and periphery that are associated with an aberrant immune/inflammatory response observed in veterans with GWI. However, the mechanism by which they contribute to GWI is not well-defined. Further studies are necessary to better understand the association of these immune/inflammatory responses with cognitive impairment in GWI and to identify methods of treatment. Hypothesis: Our GWI mouse model recapitulates delayed cognitive impairment and CNS and peripheral immune/inflammatory response to exposure to PB and PER (GW agents). In exploring potential mechanisms through which CNS and peripheral dysfunction could result from such exposure, a plausible mechanism is suggested by studies that support a crosstalk through (1) a dysfunction of the "cholinergic anti-inflammatory pathway," which leads to (2) chronic reduction of vagal activity resulting in (3) reduced suppression of proinflammatory cytokine (Th1) production in the periphery and consequently (4) their entrance into the brain, which could be responsible for the multisymptom illness complex observed in veterans with GWI. We have much experience in applying proteomic approaches to the interrogation of complex disorders, and the use of our proteomic platform will allow us to examine the diverse biological functions and pathways that are associated with the complexity of GWI etiology, providing us with an opportunity to identify key regulators of impaired immune/inflammatory responses. Specific Aims: (1) To establish which proteomic profiles of CNS/peripheral immune/inflammatory response are associated with cognitive impairment/neuropathological abnormalities in a GWI animal model. (2) In order to determine the effects of modulation of immune/inflammatory response on the recovery of normal phenotypes of proteome profiles, cognition and neuropathology we will (2a) test the effects of the genetic manipulation of immune/inflammatory response on the recovery of normal phenotypes in a GWI animal model and (2b) test the effects of pharmacological modulators of the immune/inflammatory response on the recovery of normal phenotypes in a GWI animal model. Study Design: We will apply proteomics to evaluate brain and plasma samples from the GWI mouse model, quantify Th1/Th2 cytokines from these samples, and then interrogate the differentially expressed proteins using the Ingenuity Pathway Analysis (IPA) knowledge base to identify proteomic profiles specific to GW agent-induced immune/inflammatory response, which will then be correlated with cognitive impairment and neuropathology. We will target biofunctions identified by IPA to be significantly altered in response to GW agent exposure. We will use genetic and pharmacological modulators to manipulate the immune/inflammatory responses in a GWI mouse model. We have animal models with genetic modifications influencing cell-mediated and/or humoral immunity (e.g., mice "knocked out" for CD40), and if required, they will be available for the proposed studies. Based on our preliminary data, we have identified NFkB inhibitors as potential pharmacological modulators of the GW agent-induced inflammatory response and syk inhibitors as modulators of GW agent-induced B-cell and T-cell activation and the peripheral humoral response. As part of the proposed work, we will test these compounds as potential therapies in our GWI mouse model. From our IPA analyses of the proteomic data, we will identify additional biofunctions, which will be targeted using specific inhibitors of key regulatory proteins within those pathways. Innovation: There are no approved treatments for the cognitive impairment associated with GWI due to the complexity of this illness and a lack of knowledge about its etiology. The use of a proteomic approach will allow us to understand the functional and combinatorial protein changes that accompany immune/inflammatory response in GWI and to identify their neurobehavioral and neuropathological correlates. Impact: The work proposed will identify the immune/inflammatory response associated biofunctions with the cognition in GWI, which will then be targeted to identify potential therapies for treating this debilitating condition that affects, 20 years later, nearly 200,000 soldiers from the 1990-1991 Gulf War. Hence, understanding the molecular events that contribute to the pathogenesis, together with the identification of targets for pharmacological development, will potentially have an enormous impact on treatment and management of this illness. I love this site. I especially like the scrolling list of info on the left hand side...It will take a while to peruse. It is sometimes very difficult to read the medical things and understand them so if they could be easily summarized then it would be a big help for me...Thanks!